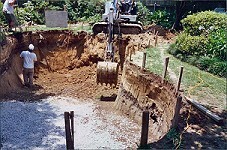 Day 1- Your pool is dug, the forms are installed and the mud is spread or trucked off. Day 2- Most of the steel is tied. Day 3- We finish the steel, and stub out the plumbing. 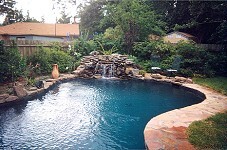 Day 4- Your pool is gunited. 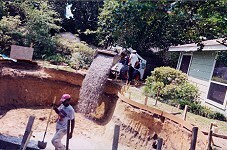 Day 5- Clean up day, forms are removed, and gunite rebound is hauled away. 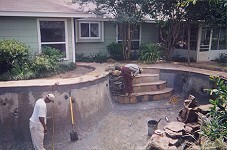 Day 7- The tile and coping is installed. Day 8- Grading and compaction is done for decking. Day 9- Form the deck. 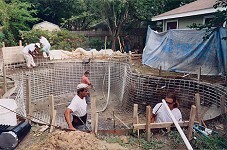 Day 12- Prep pool for plaster and wreck deck forms. 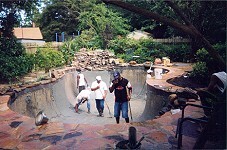 Day 13- The pool is plastered. 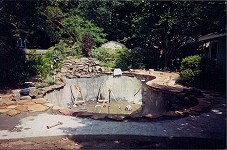 Day 14- Pool fills with water. Day 15- Pump is started, we add the chemicals and instruct you.